We have special offers available on tickets for The Comedy About A Bank Robbery. Mischief Theatre, creators of The Play That Goes Wrong - winner of the Olivier Award for Best New Comedy - and Peter Pan Goes Wrong, have created a "lung-bustingly funny farce" (Guardian) with their latest show, The Comedy About A Bank Robbery. 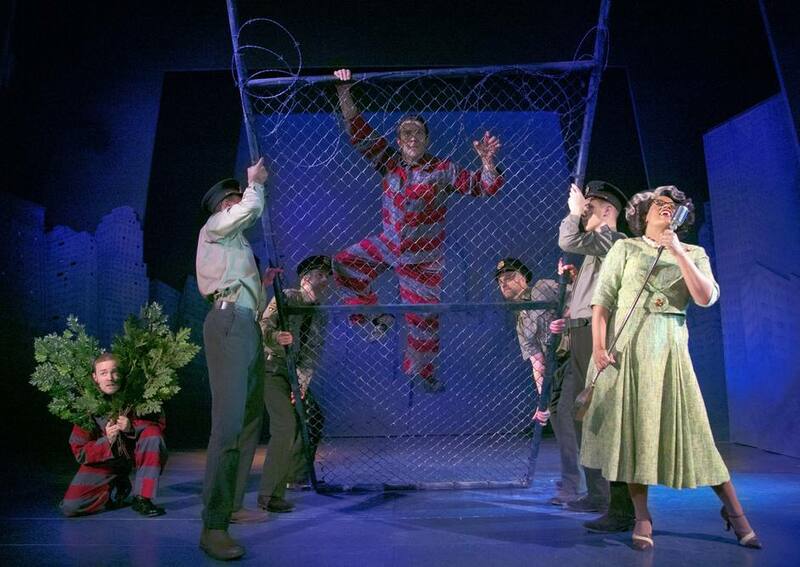 Eight incompetent crooks attempt to outwit a snoozing security guard and steal an enormous diamond in this "undeniably impressive" (Financial Times) show staged at the Criterion Theatre. What are the best dining options near The Comedy About A Bank Robbery London? The Comedy About A Bank Robbery gyms, sporting activities, health & beauty and fitness. The best pubs near London The Comedy About A Bank Robbery. The Comedy About A Bank Robbery clubs, bars, cabaret nights, casinos and interesting nightlife. Where to have your meeting, conference, exhibition, private dining or training course near The Comedy About A Bank Robbery. From cheap budget accommodation to luxury 5 star suites see our discounts for Criterion Theatre hotels, including Le Meridien Piccadilly from 75% off.